With matric exams well under way, here are a few tips on how you can make things a little easier for your anxious teen. Parents, brace yourselves – it’s that time of year again. And by that time we mean the most stressful period for matrics across the country. Having already written English, Accounting and Maths, exams are in full swing and we can only imagine the pressure of having to do well on finals before transitioning from the sheltered environment of high school to the exciting new world of adulthood. But while it may seem like now is the time to start pushing our kids to work harder and be independent, they may in fact need us now more than ever to support them during this challenging phase. So before letting our kids go completely to spread their wings and take advantage of a world full of opportunity, we suggest that parents consider these basic tips to make this period just a little easier on our understandably anxious matrics. There is nothing quite like the feeling of having someone believe in you, especially when you don’t really believe in yourself. After hours and hours of studying, matrics often feel rundown, alone and have very little motivation to keep going. And this feeling worsens when they work so hard to do well, only to come home feeling defeated by a particularly challenging exam. So we suggest you begin by giving them a good pep talk to get going. Drastic changes in the home aren’t necessary and probably won’t do any good in helping an already anxious teen having to deal with moving on. 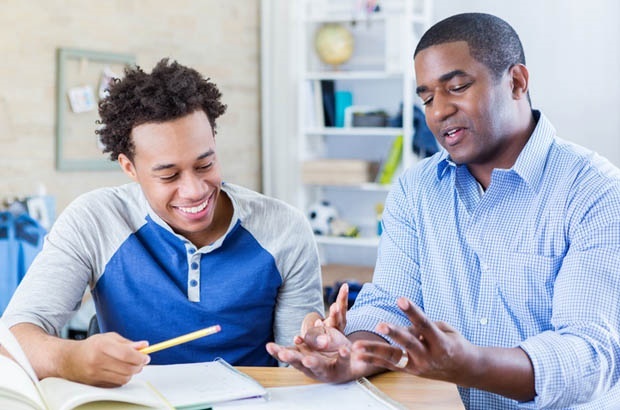 However, Dr Jaclyn Lotter a counselling psychologist and head of academic programmes at SACAP suggests making the home a more conducive study environment and minimising chores and responsibilities for matrics, giving them more time to focus on studying will help. That being said, it’s important to make sure that students do not overwork themselves and burn out before they even write the exam they’ve been dreading. She continues, “They still need their time for exercise, sufficient sleep and healthy eating; as well as reasonable time for socialising, relaxation and the enjoyment of life that ensures their well-being." Also read: After matric – what’s next? While we can do all these things to be supportive and help our kids along, we can’t actually write the exam for them. Parents should therefore try to communicate with their teens and let them know that they are there to support them through this time. Jaclyn explains that, “As much as we want the best for our children and will do just about anything to ensure this, these are their exams. It’s our children’s unique 2017 Matric experience and their performance is entirely in their own hands." Thus, it is important to not only ensure that our kids strike a balance, but to also strike a balance ourselves between encouraging them and letting them do their own thing. Are there any tips you'd like to share with parents of matric students on how to make this stressful period just a little easier? Tell us by emailing to chatback@parent24.com and we may publish your comments.